A few months ago Usborne brought their debut authors for 2017 together in London to learn about promoting ourselves from a company called Author Profile. It was great to meet others in the same boat and to hear their stories. I really enjoyed the day and learnt so much, now I just have to put it into practice uh oh!!! Anyway three of us in our book form 😉 are in the picture above. 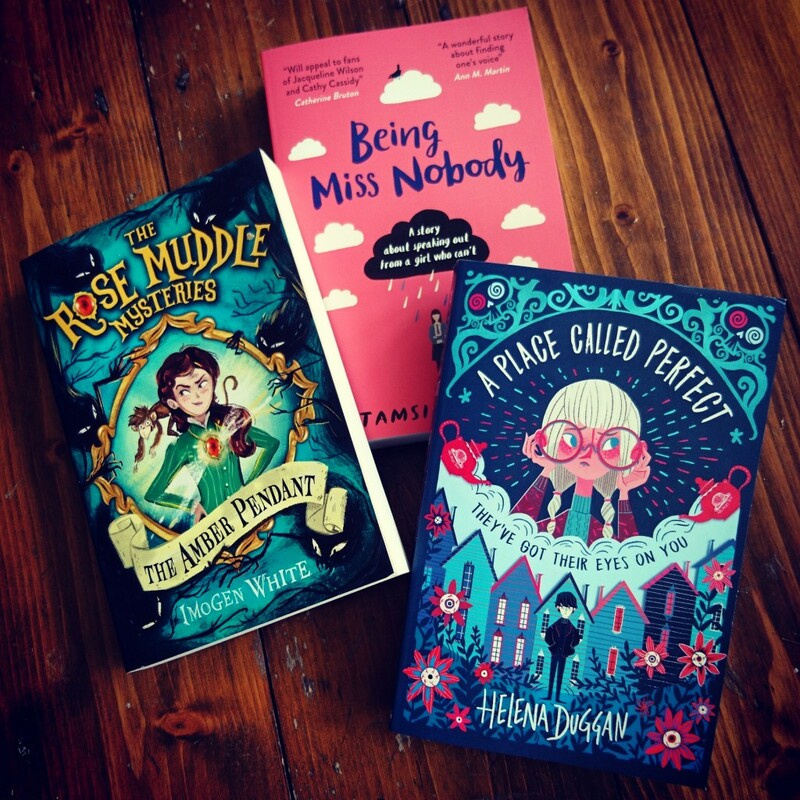 Being Miss Nobody by Tamsin Winter and The Amber Pendant, the first book in The Rose Muddle Mysteries by Imogen White were both released the 1st of June. A Place Called Perfect is available for pre order now but will be released on the 1st of August. I think we’re all looking well, if I do say so myself.